Editor's Note: To present both sides of the needle exchange program debate, HNN first features David Williamson supporting the program. The next column, links to Sarah Thacker's dissent in the Free Statesman. What's your own perspectives? My opinions on the handling of the drug epidemic have changed over the last few years. Reading the debates on my site and seeing things on the street has altered my view. I remember going to The Cabell County Health Department and getting a "free heroin starter kit"....that is what I called it at the time. I was outraged and posted a picture on this paged which ignited a firestorm of debate. 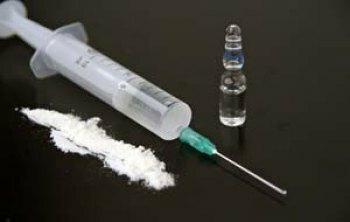 I just did not understand the idea of offering free syringes to people with drug addictions. To me, that idea was like handing out lighters to cigarette smokers....it seemed like enabling. I have read angry posts from people complaining about needles everywhere. I read a news story this morning about Johnson County, Kentucky considering a needle exchange. Why are they considering this? They are tired of needles on streets and playgrounds. They realize people will be motivated to pick up their needles to get another one. I walk the streets of Huntington everyday. I rarely see a needle. I do see tons of orange lids to needles. This tells me that people are still shooting up but not discarding the needle. What opponents of needle exchanges do not realize is that there would be more needles lying around. Fewer needles discarded in public is a benefit. Cities without the exchange actually have more lying around. I have watched the drug users that I talk too and try to help. I ask questions. "Tessa" is an addicted user. She saves her needles in a Sharps container. She religiously visits the health department and trades them in. If she carelessly discards the needle that is one less she receives. Changing my opinion about needle exchanges meant overcoming stigmas about addicts and addiction that I did not even realize I had harbored. The key was recognizing addiction is a public health issue, not something that requires immediate punishment. At the health department, users can gain clean syringes and dispose of dirty ones. They can talk to professionals who can provide addiction treatment, vaccinations and testing. The programs combat the spread of blood-borne diseases like HIV and hepatitis C and reduce dirty syringes in public places. They do not enable or increase drug use but manage the use and try to make it safer. The Health Department also hands out Narcan. I, myself, have administered Narcan several times. There is a good chance I have saved a few lives. When citizens use narcan it also takes the burden of responding to the calls away from busy first responders. The Cabell County Health Department has been changing the program. The emphasis now is on recovery. They are working hard trying to get treatment for drug users. The Cabell County Health Department is working hard to reduce discarded dirty needles, the spread of diseases through needles, and trying to get drug users into treatment. Although more and more people are opposing the program....the value of the program is there. Ending the needle exchange program would increase the spread of dirty needles and diseases.